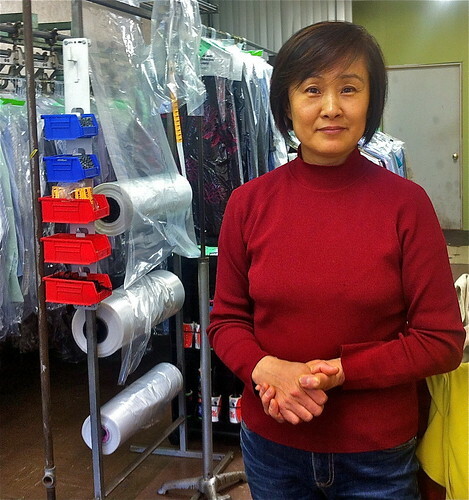 Christina Lee of BonLynn Cleaners was listening to a Korean language radio station when I asked her about the current tense situation in the Koreas. Lee came to the U.S. in 1986 from South Korea and does not know anyone living in North Korea nor of anyone who travels there. From what she has seen on Korean news, she believes the current North Korean leader, 29 year-old Kim Jung-un, is too young, which she thinks could be very dangerous. But Lee’s friends and family in South Korea don’t take North Korea’s [militaristic] threats seriously. She thinks reunification is inevitable but that it will bring tension and be accompanied by economic hardship, similar to when East and West Germany were re-united. To make the transition a lot smoother, she believes, the two Koreas must come up with a clear plan and follow it step by step. 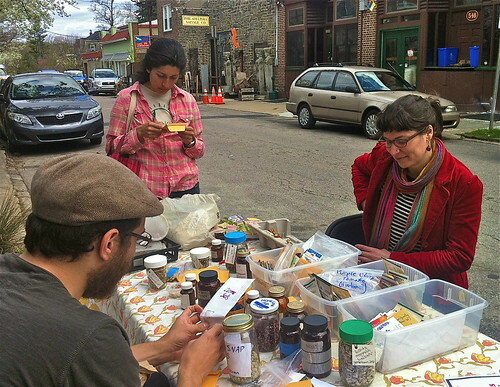 For the third year in a row, Joel Fath and Mira Adornetto of Philly Seed Exchange, set up their table top with seeds and small brown envelopes for packing and labeling seeds on a recent sunny, spring day outside the Weaver’s Way Coop in Mount Airy. 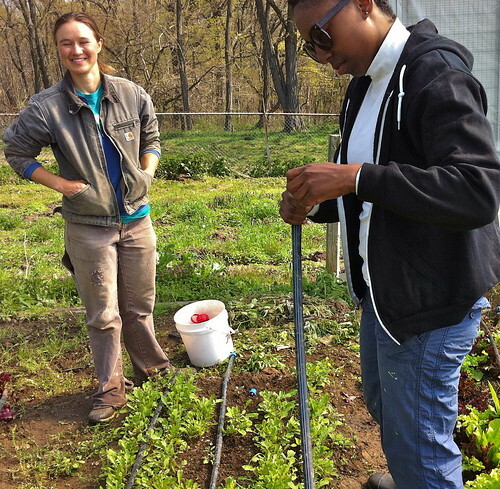 According to the organization’s website, http://phillyseedexchange.org, “Philadelphia Seed Exchange is a collective of gardeners and farmers in southeastern Pennsylvania and New Jersey dedicated to preserving open-pollinated species and developing new plant species to meet the nutrition and caloric needs of our neighborhoods.” The Exchange hosts events like this in different neighborhoods and encourages people to both bring and take seeds although it is not necessary to contribute any seeds to take some. They ask only that participants grow out the plants from the seeds they take and harvest some of the seeds to bring back to the Exchange. One enthusiast who took a seat at the table was Nate Kleinman, who works on community garden projects in the region. He had brought a plastic grocery bag full of seeds including purple bush beans, bloody sorrel, and Nanticoke Indian squash, an heirloom variety of the Nanticoke Indians who lived in South Jersey and Delaware. Raina Ainslie, who had brought some lavender seeds, picked up a packet from Kleinman’s bag of Kyoto moss spores, meant for growing under a bonsai tree or terrarium which she will try out. Through the afternoon, people came and went, congregating around the table, sharing their knowledge as much as the great variety of vegetable, flower and tree seeds. 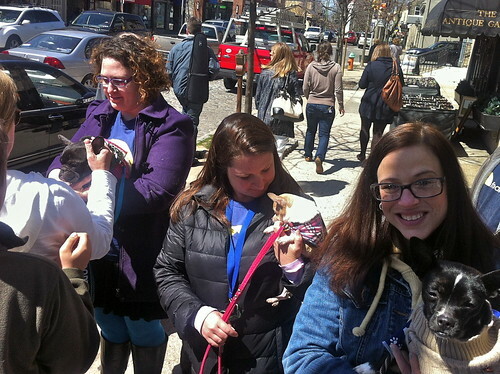 Some contributed bean seedlings were eagerly grabbed up. From left to right: Kleinman, Ainslie, Adornetto. Watch video here. Japanese Cherry Blossom Festival - beautiful! 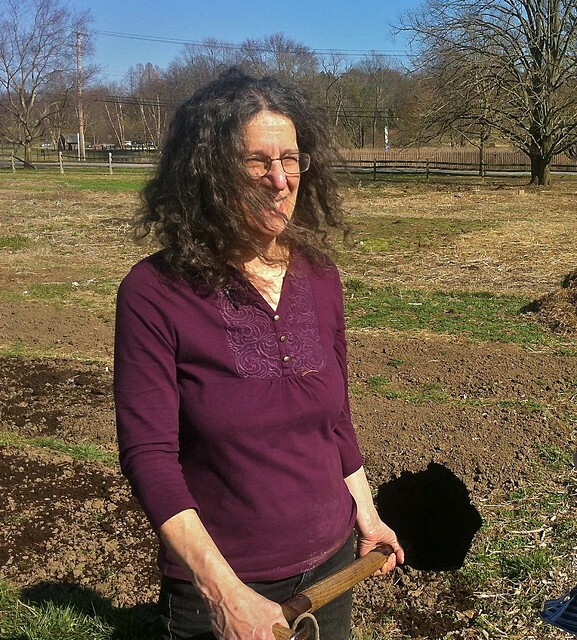 Marsha Isard of Mount Airy (left) and a fellow gardener, not shown, get an early start planting lettuce, spinach, peas, beets, and radishes in their community garden plots at the Morris Arboretum. Watch video here. 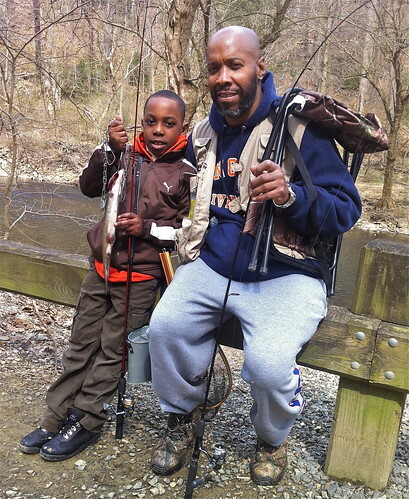 A few days after the start of the Pennsylvania trout season on March 30th, Naiyfuz Smith shows off the rainbow trout he caught in the Wissahickon Creek with his grandfather Whitney, who, when he’s not out fishing, comes to the park three days a week to run. “I use this place like crazy. I love this place. It’s like you don’t even know you’re in the city when you’re out here.” Watch video interview here. 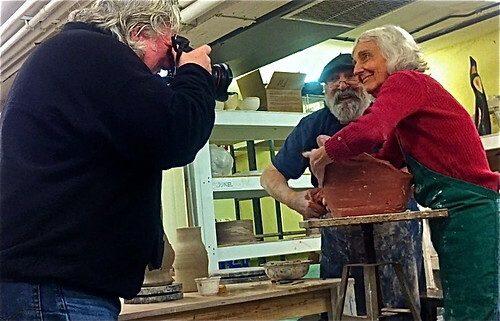 Ed Hille, a staff photographer for the Philadelphia Inquirer was at the Allens Lane Art Center on Wednesday April 3rd taking photos for a future story about the “Vision through Art” program for the blind and visually impaired.